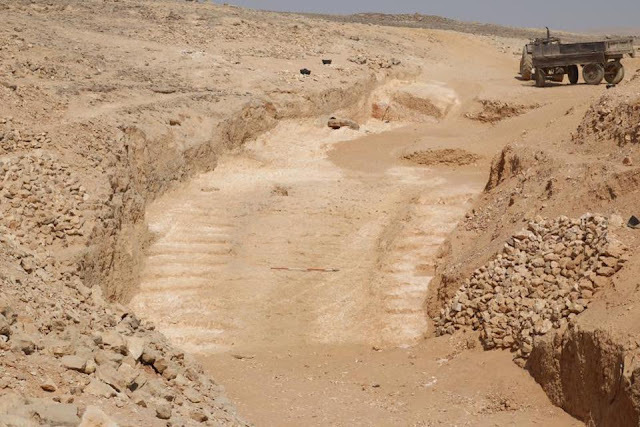 A French-British archaeological mission from the French Institute for Oriental Archaeology (IFAO) and from the University of Liverpool in England working in Hatnoub archaeological site in Minya, has uncovered how the ancient Egyptians hauled massive stone blocks from the Marmar quarry to build their edifices during the reign of Khufu. Dr. Mostafa Waziri General Secretary of the Supreme Council of Antiquities explained that the discovery was made during a topographic survey and studies on all the reliefs and engravings that have been found in Hatnoub since 2012 in an attempt to understand how the ancient Egyptians transported the huge alabaster blocks from the quarry during the reign of the pyramid builders. 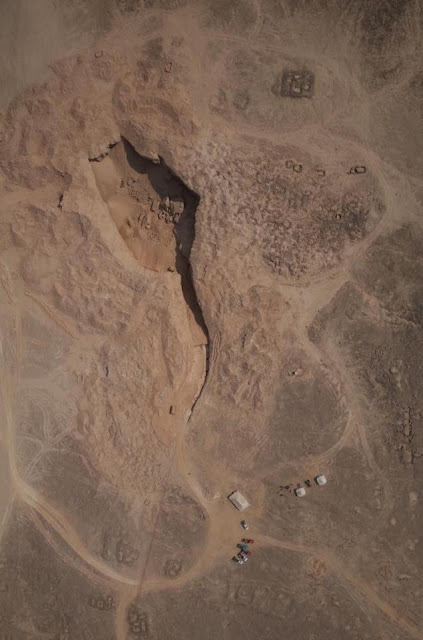 “This system is composed of a central ramp lined by two staircases with numerous pillar holes," said Yannis Gourdon, co-director of the joint mission at Hatnub. The Egyptians were able to pull the alabaster blocks out of the quarry on very steep slopes of 20 degrees or more by putting every block on a sled attached to the pillars holes via ropes which act as a "force multiplier", making it easier to pull the sled up the ramp. "This kind of system has never been discovered anywhere else," Gourdon said. 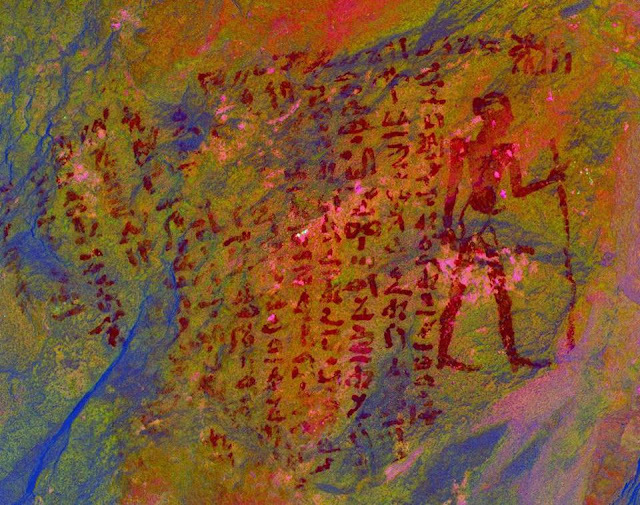 "The study of the tool marks and the presence of two [of] Khufu's inscriptions led us to the conclusion that this system dates back at least to Khufu's reign, the builder of the Great Pyramid in Giza," he added.